Top of the line 60X American Hat Company cowboy hat in black features a 5 1/2 inch open crown that can be creased to the crease you like to wear. 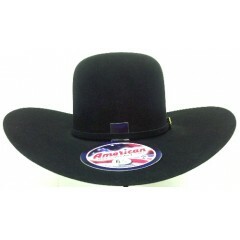 This cowboy hat also has a 4 1/2" brim that can be left alone or shaped to your liking.You just tell us. 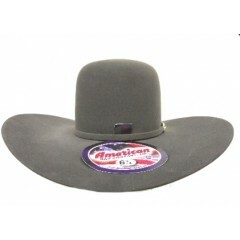 Our hat creasers have creased cowboy hats since 1973. Thats a long time! 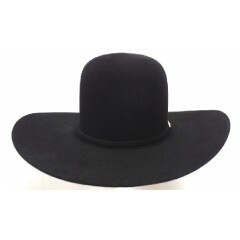 Please be sure to read our terms on the open crown hats. It has some important stuff in there. 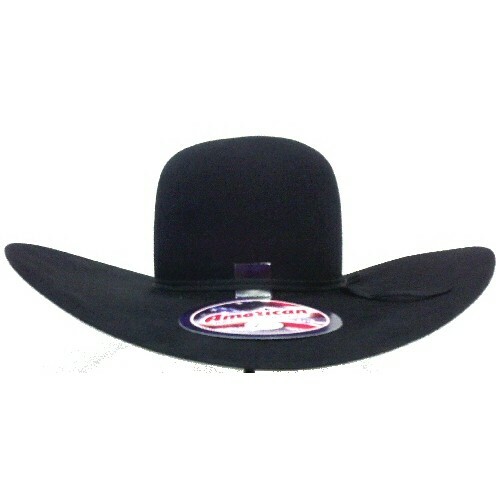 Take care of this cowboy hat and it will last you a long time!